Whoa! We've been busy this year (and it's only May). We are so pleased to announce that we just launched a terrific website for one of our longest standing photography clients. My husband, Dennis, has been shooting architectural photography for JW Design & Construction for at least 20 years and when they realized that we develop websites they knew our design department was a perfect fit. 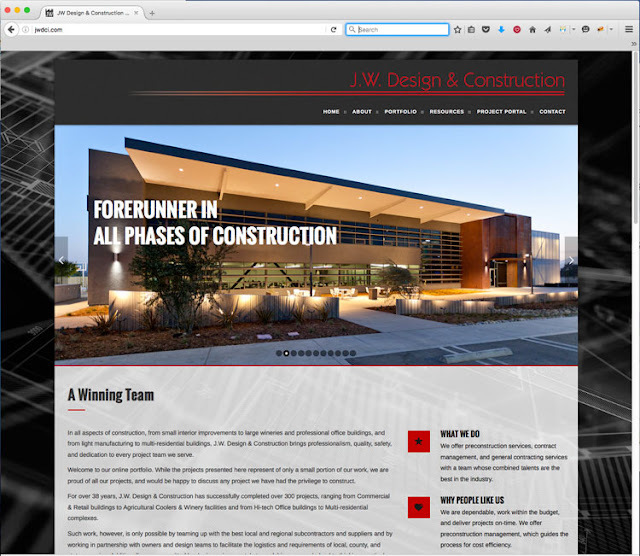 JW Design & Construction does such amazing work throughout the Central Coast and California, but they have never had a web presence. 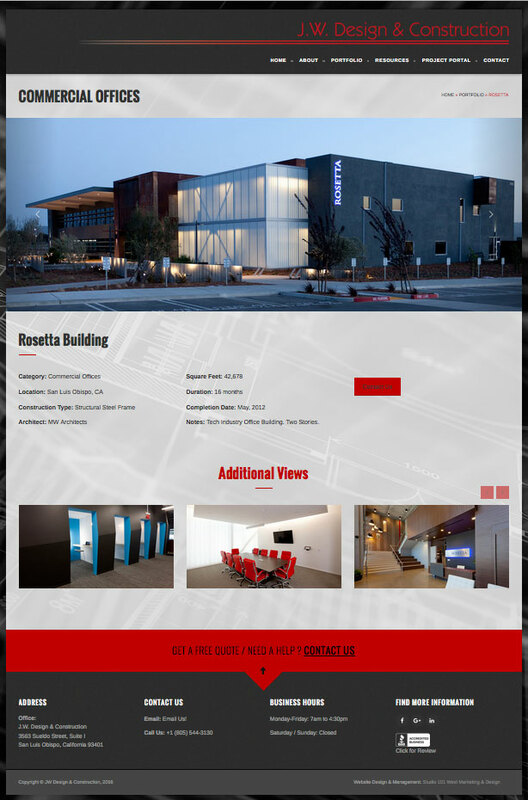 The fact that I had access to years of spectacular architectural photography meant that I'd have no trouble building a great site, but building this site took some time because the portfolio needed to be so extensive. It was crucial to the client that their well rounded and extensive capabilities were demonstrated through the various types of building they do. After almost loosing several large jobs because they didn't have a website, this hardworking construction company knew it was time to meet the 21st century. JW has been so successful on the central coast without a website that I can't wait to see how much more business they gain due to greater accessibility. Our clients expect to rise to the top of search engine rankings after we launch a new website and of course they do. We spend meticulous time on Search Engine Optimization for each of our clients. Besides building websites that communicate well, work smoothly, and are well designed, we have a proven track record of getting top SEO rankings for each of our clients. You can check out their site here: JW Design & Construction. For more information on our Architectural Photography: Studio 101 West Photography.